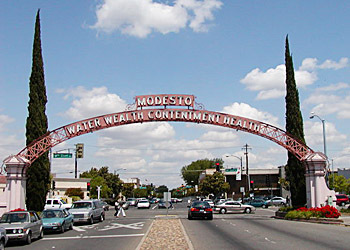 Modesto is a vibrant community proud of its citizens, great traditions, educational opportunities, and multicultural lifestyles. Modesto is blessed year round with mild weather and some of the world's richest soil.. Join us in early spring to enjoy the delightful sights and smells of orchards in blossom. Visit here in the summer or fall harvest seasons and "taste Modesto" at our Farmers Market or at roadside produce stands. Play a round of golf, picnic in one of our many parks, explore our antique shops or visit one of our museums. If you are a little more adventurous try near by river rafting, hiking or jet skiing. Built in 1883 by Robert McHenry. 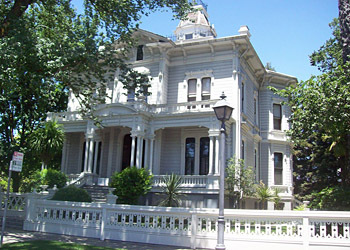 The McHenry Mansion is Modesto's Treasure. It is the city's only original Victorian home and one of the few remaining reminders of the town's rich heritage. A gift shop is located inside and an abundance of history. 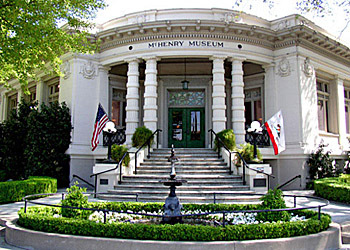 Located 1 block away from the McHenry Mansion, the McHenry Museum building was originally the city library. It feature many exhibits. Learn about the animals and plants that live in California's unique Central Valley. The Great Valley Museum opens minds, touches hearts, and inspires action towards discovering, appreciating, and preserving our natural heritage and environment. Science literacy and the unique Central Valley are promoted by engaging students, educators and the community through onsite and outreach programs. The Museum serves as a resource to educational institutions, including Modesto Junior College. 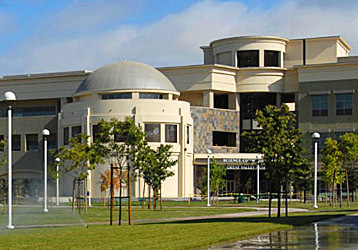 The GVM home is the first floor of the Science Community Center on the west campus of Modesto Junior College. Group tours available. Home to over seventy restored vintage military aircraft ranging from pre-WWII to the present-day fighters, the Museum houses a fascinating collection of wartime memorabilia, uniforms, historic photos, and personal military artifacts from the past century. The Museum is proud to display the most complete lineage of Bomber Aircraft on the West Coast dating from prior WWII to the end of the Cold War spanning nearly 70 years. 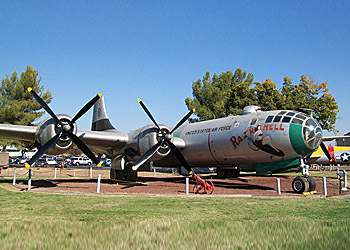 Castle Air Museum gives visitors a peek into the past and lends insight into the evolution of aircraft and the past milestones of aviation. 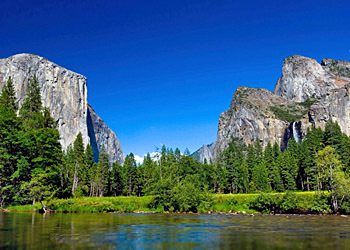 Visit Yosemite when in the area. Located in nearby Mammoth Lakes. Gallo Center for the Arts.